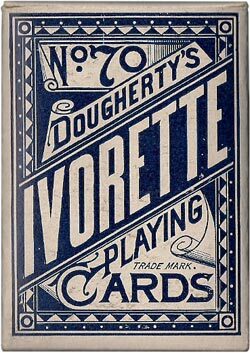 Dougherty was at the forefront of innovation, adding Best Bowers and then Jokers, rounded corners and introducing various types of indices to his cards. In 1883 he was granted a patent for “Indicator” cards. 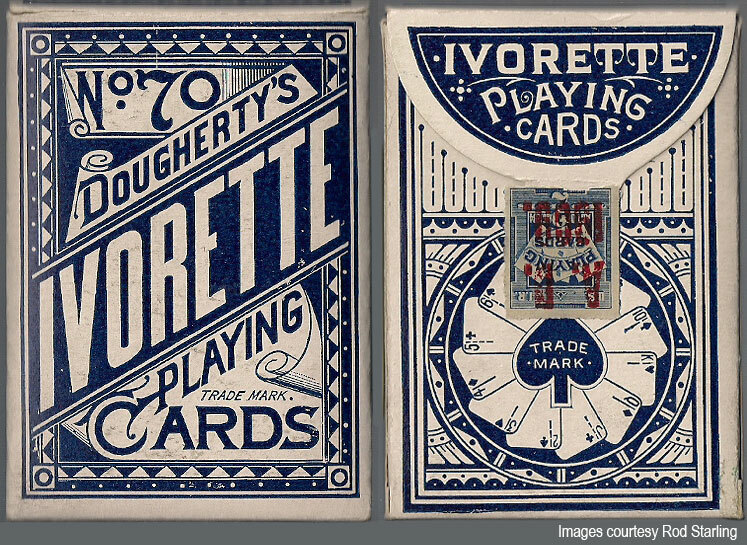 Dougherty's “Ivorette No.70” deck incorporates the first use of these numbered indices, or “Indicators”, printed outside the border, along with the earlier form of “Triplicates”, the miniature cards in the corners. 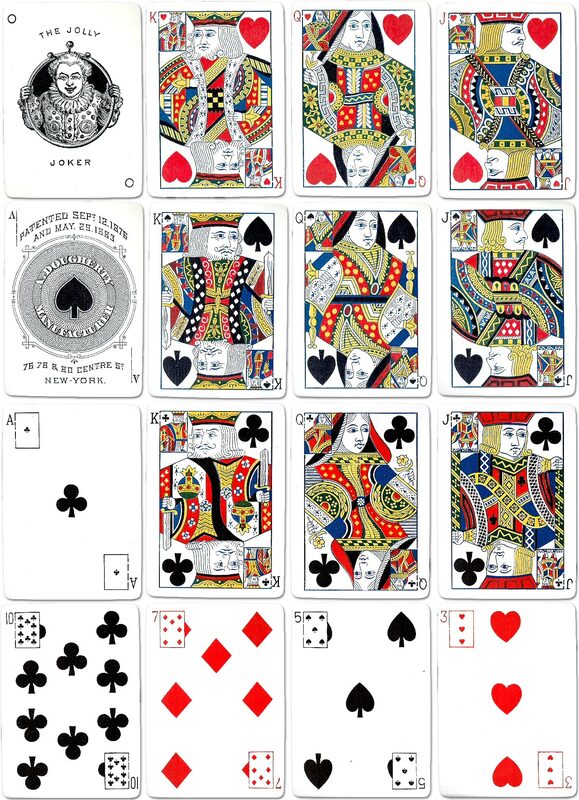 It also has small breaks in the borders, as in Spanish cards, and all these innovations helped players distinguish cards from only seeing the corners. It only ran for a year or less and was followed in 1894 by “Indicators No.50”. These “Indicators”, printed outside the border, soon became standard. The Ace of Spades mentions two patents, the earlier date being for the first “Triplicate” format and the second date being for the addition of the indicator number. 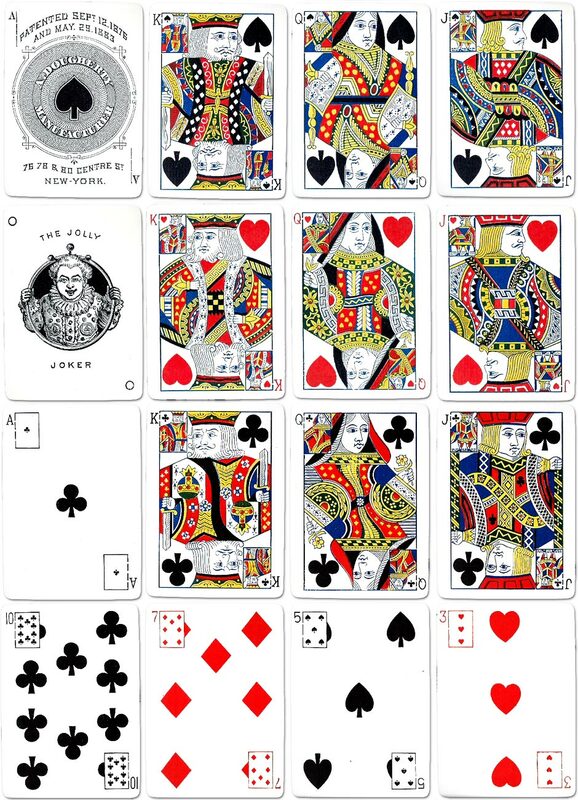 Above: Dougherty's “Ivorette No.70” deck has the “Indicator” Ace of Spades and a Jolly Joker. It was the last of the Triplicate series and incorporated the first use of numbered indices. 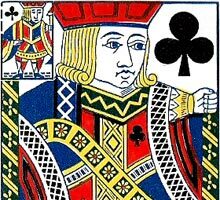 The small margin breaks in the miniature playing cards differentiate the suits. It only ran for a year or less and was followed in 1894 by Indicators No.50. Image courtesy Rod Starling. Many brands were issued featuring these new “Indicators”. The main distinguishing feature was the different box. Brands include “Ivorette”, “Tudor”, “Tandem”, “Mogul”, “Sunset” etc. Similar new ideas were being introduced or imitated simultaneously by other manufacturers both in USA and elsewhere, with various different patented brand names, such as “Squeezers”, “Dexters”, “Eureka”, etc. so that the corner indices we now take for granted were born from these competing innovations. Regarding Dougherty's “Indicator” indices that were patented in 1883, that would have been just six years after NYCCC obtained its own patent for “Squeezers”, which are more or less the same idea. It is difficult to understand what difference there was between NYCCC's “Squeezers” and Dougherty's “Indicators” that would warrant each company being granted patent rights at about the same time.